That's the recommended time to introduce solid foods. But it's not just about age. 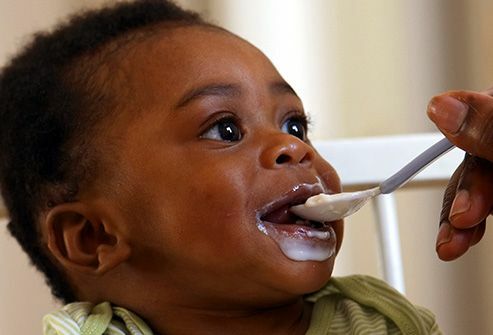 Before starting solids, your baby should be able to sit up (with support), turn his head away, and make chewing motions. He should also be past the reflex that makes him spit out anything including liquids. 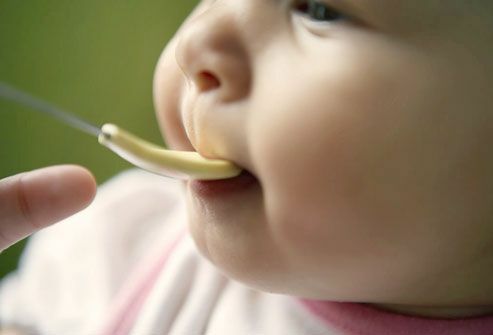 Babies usually don't eat a lot of solid foods right away. 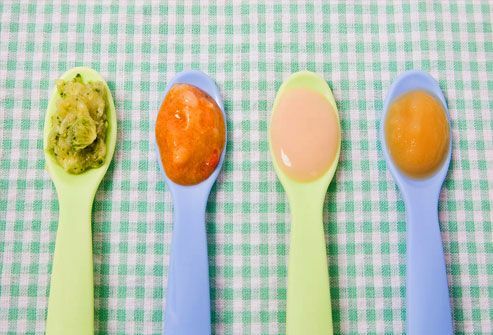 So think of solids as something you’re adding to your baby's diet, not as a replacement for breast milk or formula. Remember, you're introducing solid foods, not totally changing your baby's diet or eliminating milk. That will happen gradually. 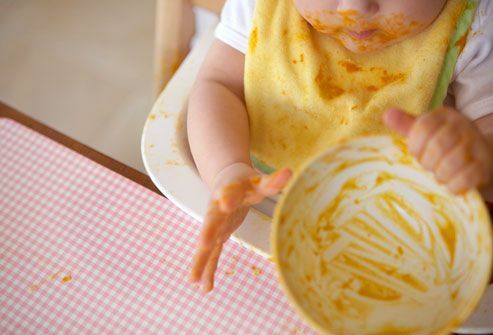 You don’t have to -- there's no hard-and-fast rule about what solid foods you should start your baby on first. in fact, you don't have to start with cereal at all. But if you do, try a single-grain, iron-fortified infant cereal with a neutral to no flavor. It also will be a bit easier to notice any food allergies than with a cereal made from several grains. You may want to mix it with formula or breast milk to get a runny consistency at first, so it's not a drastic change for your baby. Gradually thicken it more until your baby gets used to the new texture. 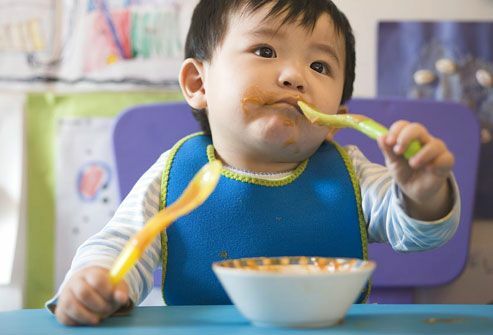 Fruits, vegetables, grains, and even pureed meats can all be on the menu for your baby. 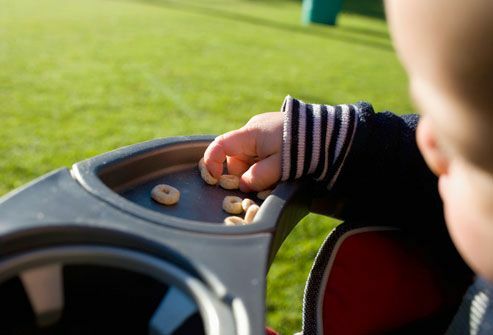 You may want to introduce them one at a time to see how your little one reacts to the flavor and texture and to make sure no allergies develop. If your baby won't eat them at first, try again later. 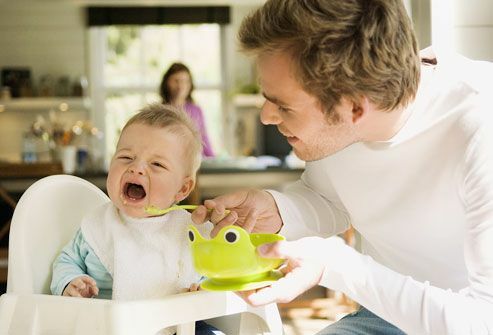 Babies need to reject a food at least 5 to 10 times on different occasions before you can truly say they don't like the food. Tell your pediatrician if you think your baby might have any food allergies to any new foods tried. 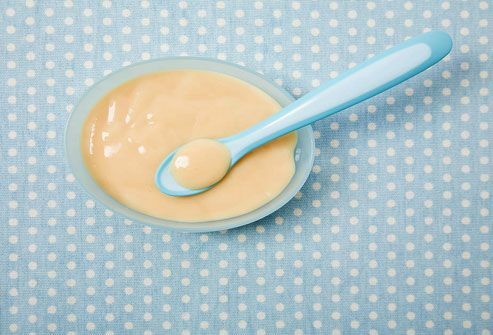 Use soft baby food from a jar, or soften foods by heating and/or pureeing them. Put just enough on the spoon for your baby to swallow easily. Don't force feed the food. 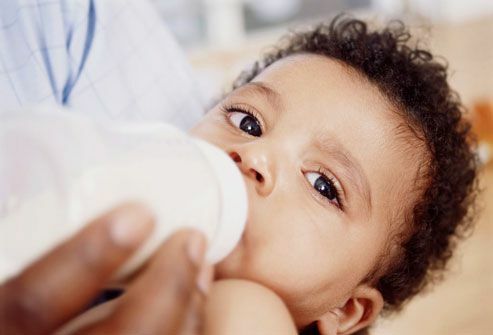 Most pediatricians say you should wait until after your baby's first birthday to start offering cow's milk. That’s because nutritionally it doesn't measure up to Mother's milk or have the nutritional value of specially developed formulas. 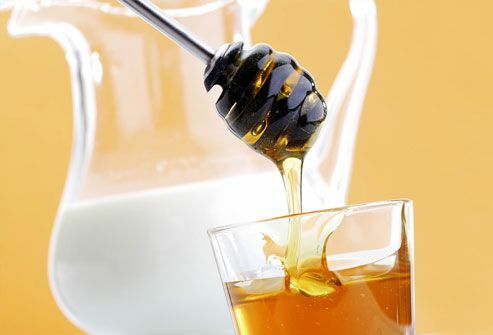 And, don't give honey to babies younger than 1 year. That’s because of a possible botulism risk that a baby's developing immune system can't fend off.